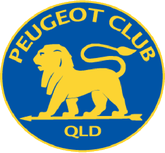 Welcome to 2019 and the Peugeot Club of Queensland website. Through this site you will be able to find contacts, club activities, a membership form, photos, Peugeots for sale and various useful links. One date to lock in immediately is Sunday 21 July 2019 for the Grand Display of French Cars. Thank you for visiting our site, we hope you find the visit interesting and it encourages you to come to at least one of the events this year. You will be most welcome. The activities of the club are varied: they include social, sporting and technical events. We welcome you to the online world of Peugeot in Queensland and look forward to the day we meet in real life. For other news or new classifieds you can also check our Facebook and our other web site at Shannons. 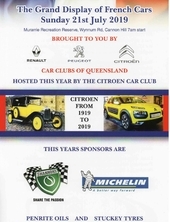 The annual Grand Display of French Cars will be at the Murrarie Recreation Reserve, Cannon Hill. 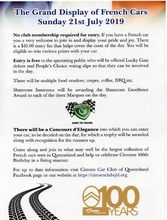 The Citroen Club of Queensland is hosting the event this year. It was another great year of driving Peugeots in sunny Queensland in 2018.The Peugeot Club of Queensland reminds you that your membership was for a calendar year, so your renewal is now due. This is especially important if you wish to maintain your SIVS registration for your classic vehicle.